MYRCA is pleased to announce the winners of the Name It Contest! 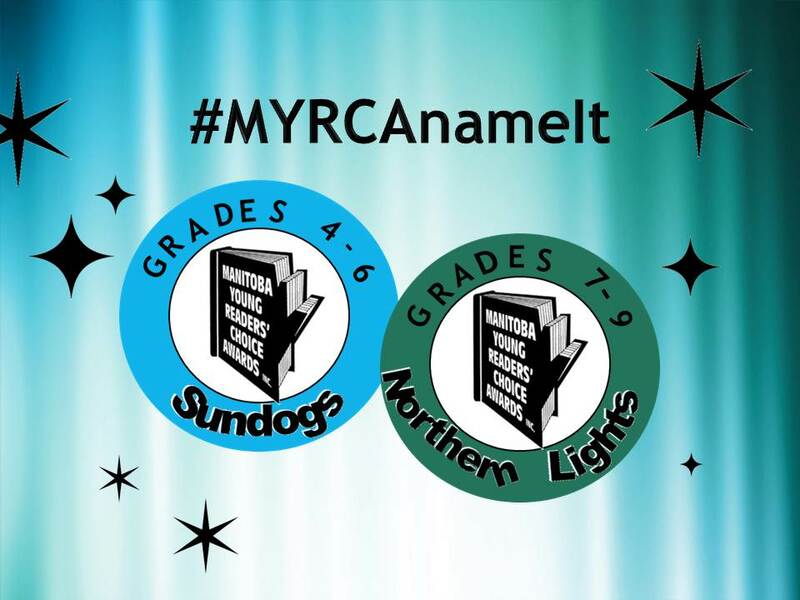 Congratulations to Sandra Welbergen from Beaumont school for suggesting the name Sundogs for the grade 4-6 list. 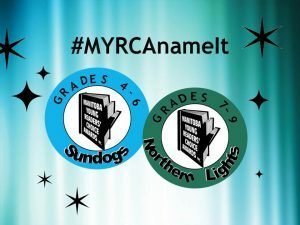 Congratulations to Karen Kendrick from Walter Whyte School for suggesting the name Northern Lights for the grades 7-9 list. Thank you to all the entrants who had great suggestions. We hope you love the new names as much as we do. No purchase is necessary to enter or to win. All Federal, Provincial and Municipal laws and regulations apply. Void where prohibited. Eligibility: The Name the Award contest (the “Contest”) is open to individual legal residents of the province of Manitoba who, at the time of entry, are 18 years of age or older and are parents, teachers or librarians of students in grades 3 through 9. Officers of MYRCA as well as such officers’ immediate family (father/mother, brother/sister, son/daughter) or persons living under the same roof are not eligible to win this Contest. Sponsor: The Contest is sponsored by the Manitoba Young Readers’ Choice Awards Inc. located at 281 Eugenie St, Winnipeg, Manitoba, R2H 0Y3 (the “Sponsor”). Agreement to Official Rules: Participation in the Contest constitutes entrant’s full and unconditional agreement to and acceptance of these official rules and the decision of the Sponsor, which are final and binding. Winning a prize is contingent on being compliant with these official rules and fulfilling all other requirements set forth herein. the voting phase from February 7th at 12:00pm (CST) until March 5th, 2018 at 12:00pm (CST) (The “Voting Phase”). Entries for the Suggestion Phase and/or Voting Phase that are submitted either before or after the time period referenced herein will be disqualified. How to Enter: During the Suggestion Phase; eligible contestants may enter the Contest by completing and electronically submitting the entry form, which will be located at www.myrca.ca. A link to the Contest entry page will be provided on www.myrca.ca.The Sponsor will also send out the link to the subscribers of the MYRCA newsletter via email. The Contest entry page will allow contestants to submit up to three (3) suggestions per award via clicking on the link on the website, www.myrca.ca. Limit one entry per email address or per family or per library or per classroom for the duration of the Suggestion Phase, regardless of method of entry. Entries received from any person, email address, library, classroom or household in excess of the stated limitations will be void. All entries become property of the Sponsor and will not be acknowledged or returned. During the Voting Phase: the public will be able to vote on the survey on www.myrca.ca, by electronic submission. In addition, children in grades 3 through 9 may fill out paper ballots provided at all branches of the Winnipeg Public Library, at the Headingley Municipal Library (49 Alboro St, Headingley, MB) and at McNally Robinson Booksellers (1120 Grant Ave, Winnipeg, MB). Limit one vote per person for the duration of the Voting Phase. Ballots received from any person, library, classroom or household in excess of the stated limitations will be void. Winner Selection: On or about February 7th, 2018, the Sponsor will select five (5) suggestions per award from among all eligible entries received during the Suggestion Phase. The odds of being selected will depend on the number of submissions received. On or about March 7th, 2018 the Sponsor will announce the winning suggestions from the Voting Phase. The Sponsor will notify the winners via email no later than March 12th, 2018. Winners will be asked a skill testing question. The Sponsor reserves the right to publish the winner’s first and last name and, where applicable, the name of the school or library. No prize substitutes, assignments or transfers. No cash equivalent. Prizes will be ready for pickup after May 15th, 2018. – If winner cannot pick up prize at McNally Robinson Booksellers (1120 Grant Ave, Winnipeg, Manitoba), the Headingley Municipal Library (49 Alboro St, Headingley, MB) or any branch of the Winnipeg Public Library by May 31st, 2018, then their prize is forfeit and returned to the Sponsor. Please note: In the event that more than one entrant suggests the same name, the MYRCA committee will select the person who suggested it first.